Looking through the photos of my homemade bread, cakes, cookies and tarts, I realised that I have made lots of stuff over the past 12 months. Without this blog, I would never ever be able to document the joy and pleasure that I have experienced over the year. It brings me immense satisfaction whenever the cake came out nice and fluffy...or that loaf of bread turn out a perfect square when I slide open the lid of the pullman tin. Not forgetting the excitement when I unmold a chiffon cake; and the overwhelming stress of having to swipe the palette knife over and over and over again to make the frosting appear as smooth as possible on a birthday cake. I guess the most rewarding part of the whole process is the great pleasure it brings when I see my loved ones wolfing down my 'labour of love'. Even failures or kitchen disasters of any kind, have taught me several good lessons...although I have to confess, it takes more than a day for me to get over the great sense of disappointment from any failed attempts. To mark the occasion, I have compiled my baking repertoire into a little slide show. I find this the best way to condense a selection of some of the better cakes & bakes that I have done over the past year...into a one minute video clip. My heartfelt thanks to everyone who has dropped by this blog, especially to all those who have taken the time to leave behind their encouraging words and lovely comments. I also appreciate readers who have asked me questions...I try my best knowledge to answer them...and it is through the process of finding out the right answers, it has widen my knowledge and insights into the world of baking. Since it is the season of giving, I have decided to send a little gift to a fellow blogger pal. It is a small way to show my appreciation, and I hope I will be able to do the same thing next year. And here's to another wonderful year of baking and blogging! Keep it up ! And ,bake more cakes and bread ! Happy and a Blessed New Year to you and your family! (^^,) I enjoy coming here. Happy New Year to you. 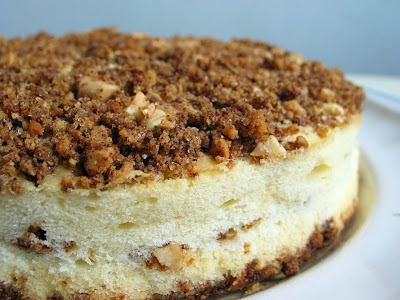 Looking foward to more of your wonderful baking from your blog in year 2009. The video is very well done! Congratulations for achieving some much in a year. Wishing you and your family a good start to Year 2009. Hi HBB, I absolutely understand your feeling. Looking forward to read more on your baking diary. Happy 2009! I loved that video! I've never commented before but I really love your blog, and can't wait to see what you bake in 2009! A blessed new year to you and family! Continue baking .. you continue to inspire us. Happy New Year HHB! May 2009 bring much joy & peace to you and your family! Keep the bakes coming! Happy New Year and wonderful 2009! Happy new year, HHB! Here's to many more years of wonderful bakes and gorgeous cakes! Blessed New Year... I love your blog and sharing. Happy Baking! Congratulations on another blogaversary! Everything you make is so beautiful. Thanks for all the inspiration! Happy New Year to you and your family. May you bring us more good bake in year 2009. I look forward to it. I enjoy reading your blog and your recipes are easy to follow. Thanks for sharing. just want to let you know that I've learnt so much from your blog. Your bakes had been so inspiring and your easy to follow step-by-step instructions had helped me from a "know-nothing about baking" into one who is now able to bake a rather presentable cake. TQ so much. Would like to share with you my bakes if I have enough courage to showcase them one day. Hi HHB, Happy 2009! Here's wishing you joy and happiness in the new year ahead. Here's wishing you and your family all the best in the new year! I'm eagerly anticipating everything you create in 2009. Wishing you another bake-full year in 2009! Happy 2nd Anniversary to your Blog. The video are so professionally done. Kudos and also keep up with those lovely cakes, breads and photos you have made. happy 2nd anniversary to your blog and happy 2009. would love to see ur new bakes in 2009. happy baking! Best wishes to you! I do so enjoy reading about someone who enjoys baking as much as I do! Do you do your own photos? Very nice! So far I have not attended a single workshop or baking class, not even demo classes. Everything is self-taught mainly thru cookbooks. I am no professional baker, that is why I am always worried that I am the blind leading the blind!! You have a lovely blog here. Your joy is emanating towards you readers :) . I just started to bake and blog 2 months ago. I enjoy reading your blog and have learnt a lot of things from there. Your blog is my source of inspiration. I would like to link your blog to mine and just wondering whether should I seek for your permission to do so. I'm very new to blog. It was my sister-in-law who suggested that I set up one to diary my baking journey. Hi Amy, welcome to the blogging world, and thanks for linking me up, it's my honour :):) I look forward to reading your baking journal, cheers! Please bake and share more.